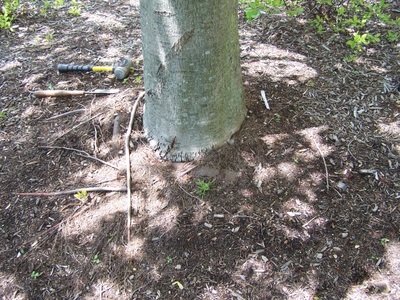 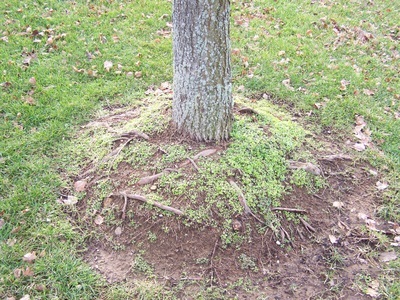 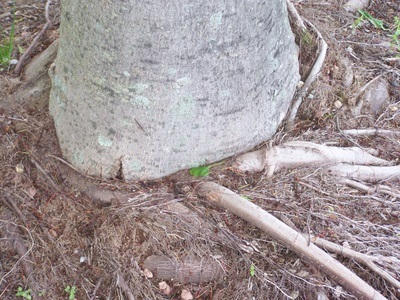 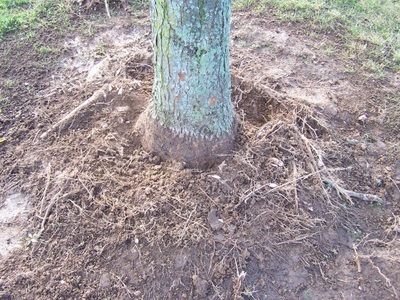 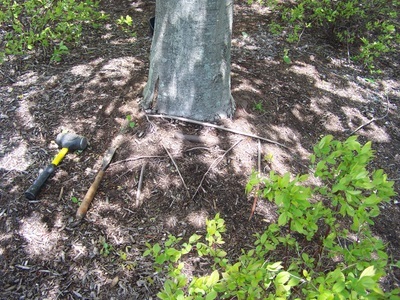 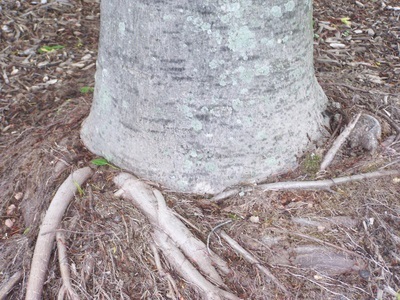 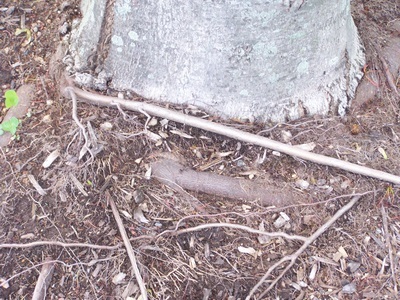 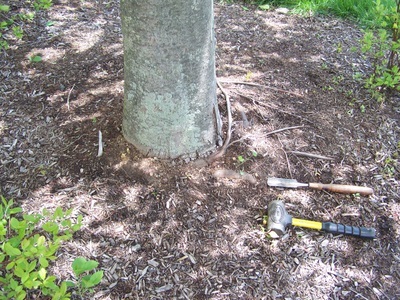 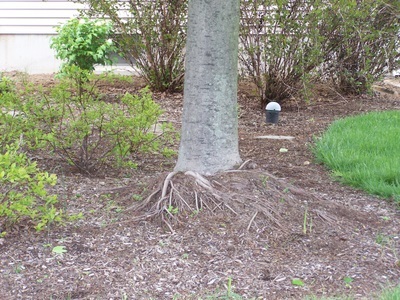 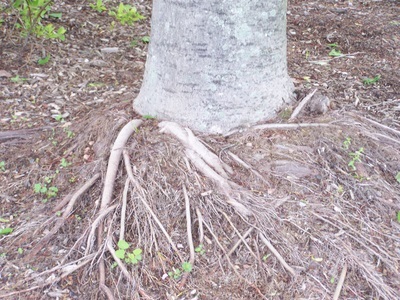 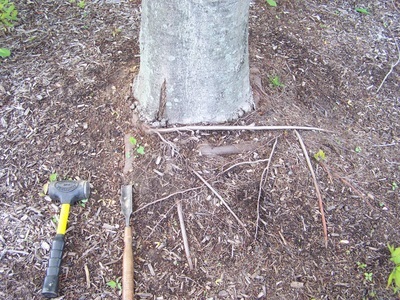 Girdling roots can slowly weaken a tree over time and eventually cause its death. 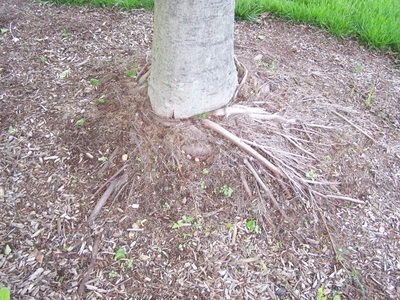 Nutrients, water and food reserves are restricted as the roots encircle the tree and begin to strangle it. 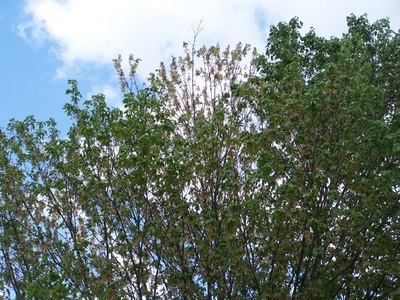 As time progresses, growth is hindered, leaves become smaller and lighter in color. 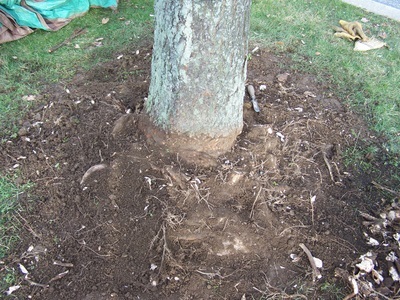 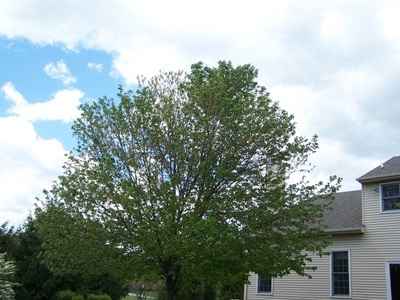 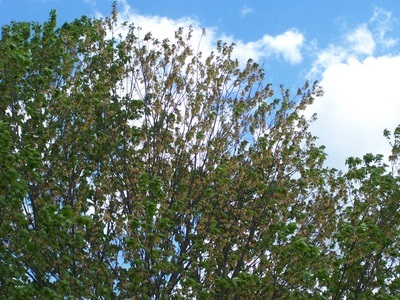 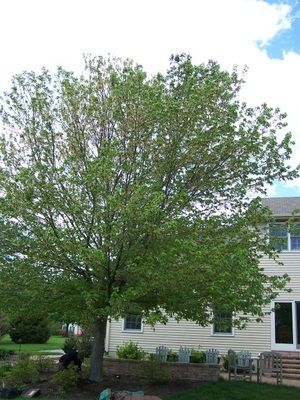 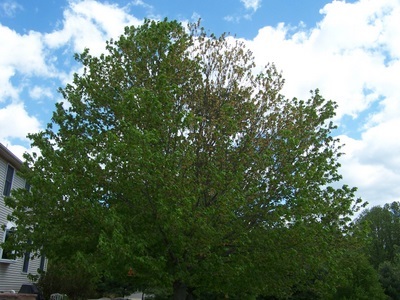 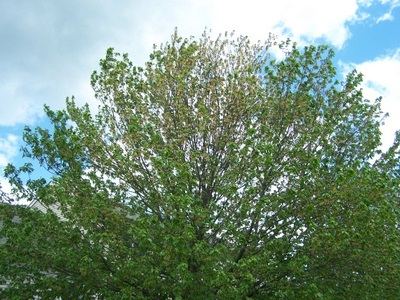 Then the tree begins to produce fewer leaves and eventually you will begin to see die back and breakage. 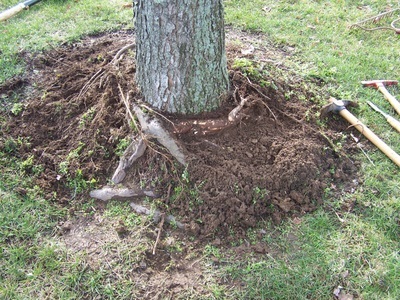 On a well planted, healthy tree, you'll see a gentle flair at the base of the tree. 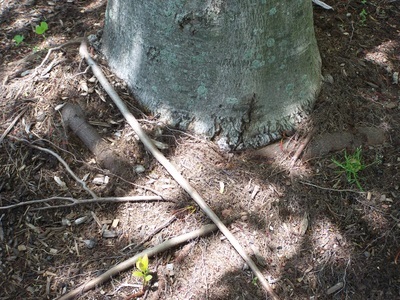 A trunk that is growing straight out of the ground (like a telephone pole) is a suspect! 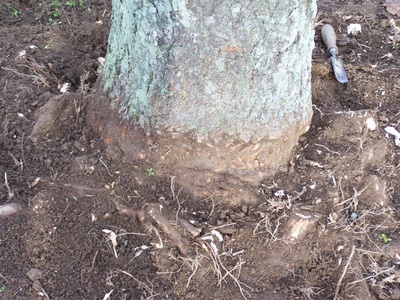 You might also see a slight indentation in the base of a tree on one side. 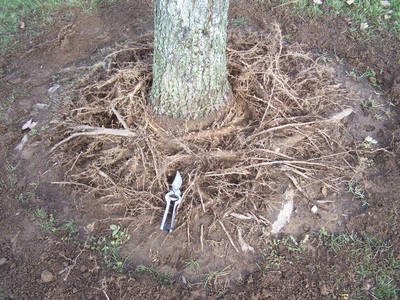 Many times we find girdling roots on improperly planted trees, where the baskets or planting container have been left on or not totally removed properly. 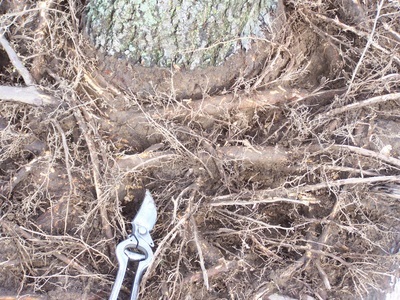 Most girdling roots can be treated. 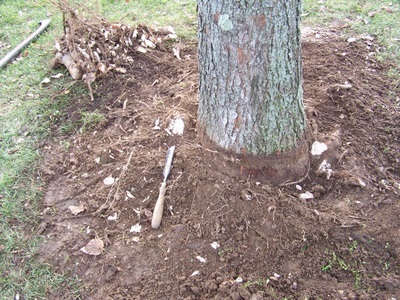 We’ll be happy to explain.